Time to start planning your happiest Half Term break yet! Bring the family to Broadstairs, just over an hour from London on the train and right in the heart of the beautiful Isle of Thanet, where you'll find beaches galore and a wealth of activities on offer for the whole family. The kids will love it here and so will the grown ups!  Broadstairs Apartments are stylish 1-3 bedroom apartment luxury holiday lets with all the possible comforts you could require and a short walk from the beach, parks and high street amenities of Broadstairs. The nearby towns of Margate and Ramsgate can be easily reached by car or public transport and both are also walkable if you enjoy stretching your legs. This half term there is so much for children going on across the Isle that we thought it would be helpul if we rounded up those we think look most fun in this blog post. First up we recommend hiring a Coastal Explorers pack from Thanet District Council. The cost is just £5 and it's well worth it to give a fun educational aspect to actively exploring and learning about the beach together as a family. The equipment, games, suggestions and information in the pack turn your time at the beach into a real adventure! Stories of the heritage stories and unique natural designations of this part of the UK coast will light up your childrens' imaginations. Together you can learn skills like how to make a sundial and use a compass, identifying marine creatures and plants and more! These packs are only available here in Thanet, you won't find them anywhere else. on a similar theme, Thanet Coast Project often run guided Seashore Safaris, follow them on Facebook for details of events, there's not currently one advertised for Half Term but that might change. On 16th February, Dreamland in Margate are holding their first Children’s Book Festival with a chance to meet The Gruffalo and get up to all sorts of booky related fun! The event takes place 10am-4pm and includes illustration and creative workshops, readings and author talks from Emily Rand (The Lost Property Office), Julia Jarman (Big Red Bath and Class Two At The Zoo) and John Dougherty (There's A Pig Up My Nose) and special film adaptation screenings of children's favourite books: Julia Donaldson & Axel Scheffler classics by Magic Light Pictures, including Room On The Broom, Stick Man, The Highway Rat, The Gruffalo and their highly-anticipated latest release Zog!. Tickets are £6 + booking fee in advance, or £22 + booking fee in advance for family tickets (up to 4 people). Limited tickets available at £3 + booking fee for Dreamland members. In 1842, two chlidren tumbled down a whole in a back garden in a house in Ramsgate and discovered the mysterious Shell Grotto. Was it built by the Phoenicians or was it a community effort in Victorian times, copying aristocratic grottos in stately homes elsewhere in the country. No-one knows. The question no-one can answer is who had the immense time, effort, skill and imagination required to build the extensive tunnels, exquisitely and intricately decorated with shells. The visitor centre includes delightful shell gifts and artworks, coffee and cake and giant Anne Carrington Shell Ladies. Beneath the chalk cliffs by Ramsgate Main Sands, a unique visitor attraction goes deep into the tunnels that sheltered families during World War 2. The children went to school, slept and played underground and were known as "Tunnel Rats". Thanks to the vision and determination of the flamboyant Mayor of Ramsgate at the time, the townsfolk were safe from bombs in two and half miles of deep shelter tunnels, which he had to fight to government to create. It's fascinating history and a unique experience to explore the tunnels and see how people lived. 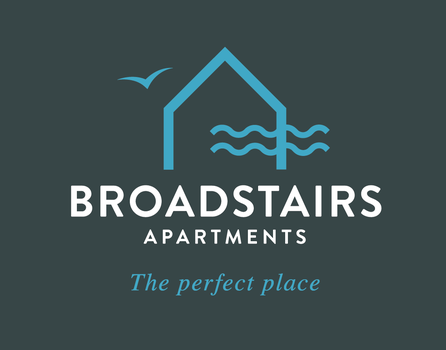 You can walk there from Broadstairs Apartments in around 40 minutes, take the loop bus, or drive and park for free on the streets above the cliffs. 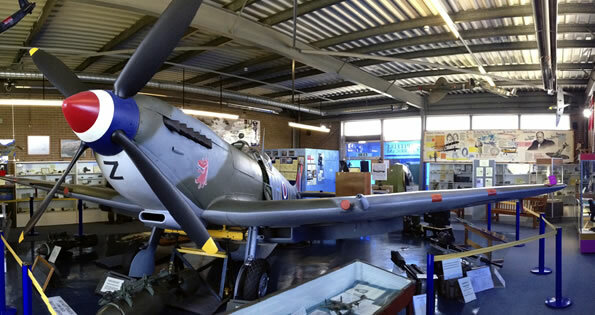 if wartime history captures their imagination - head to the Spitfire and Hurricane Museum out by the old Manston Airport, a short drive from Broadstairs. Entrance to the museum and garden is free and there's a nice cafe too. Spitfire and Hurricane Museum Website. Check availabilty of one of our stunning luxury apartments using the form on our home page.